Crown Insurance & Financial Services is not a health insurance company; instead, they are an insurance brokerage service that provides a variety of services to their clients. Although they do not sell personal health insurance products, they do offer workers compensation insurance for businesses. Enter your zip code below to get your free health insurance quotes! Crown Insurance was founded in 1985 and has a presence only in California. There is no indication as to whether they serve all of California or if they only serve specific counties or cities. As an independent brokerage, Crown works with a variety of different insurance companies to provide you with the insurance products that you need. 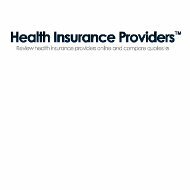 Although a couple of the companies they represent do sell health insurance products, Crown does not offer any packages that include a health insurance option. Crown Insurance does not have an A.M. Best financial rating. The reason for this is that these ratings are reserved for actual insurance companies to determine their ability to function and pay their claims. Since Crown only represents other insurance companies, they are not directly responsible for paying your claims, which means their financial stability does not really matter. As an independent brokerage firm, Crown uses their own agents to sell the products that they offer. However, it is entirely possible that the company uses independent agents to sell their products rather than hiring them directly. How this works is that a company will contract with insurance agents to work out of their offices while working on commission. This may seem like a bad thing but, in general, it does not change the way that you receive services. An independent agent receives a commission off every sale that they make and you pay for. This occurs no matter what insurance company you choose. As long as you pay your bill, your agent will receive a small commission from the insurance company from which they sold the policy. If you stop paying your bill, the agent no longer receives a commission. Crown Insurance does not offer a way to make claims on their website, nor do they provide a number for you to call if you have a claim. What they do provide is a sheet that they recommend that you print up to keep in your vehicle. This sheet provides you with a list of the things that you should and should not do when you have an accident. To file your claim they recommend that you call your insurance company directly to file your claim. The company does not provide a list of phone numbers or websites for the companies they represent. This means that you will actually have to refer to your policy to see whom you need to call to file your claim. You can probably speak to your agent at Crown to discuss your claim; however, from the information provided on the website, it appears that Crown does not assist you in filing your claim. Crown Insurance is not currently advertising any job openings on their website. This, however, does not necessarily mean they are not hiring. If they use contracted agents, you may choose to work for the company without whatever benefits they provide. If they do provide benefits, the company does not provide any information about what they are on their website. Crown Insurance does provide what they call a preliminary quote tool on their website. What this means is that they do not guarantee the quote you receive on their quote tool. This is just a method that they use to provide you with an idea of how much you can expect to spend on your insurance. The quote tool they provide can present you with quotes for all of the services that they offer, including commercial and business insurance, which is unusual. Of course, your quote could change dramatically once you speak to an agent and they get more details from you. For health insurance quotes, however, Crown’s quote tool is not going to do you any good. Instead, enter your zip code below and get the health insurance quotes you want today!